Few Iranians (or westerners) have heard of Pan-Arab nationalists such as Satia Al-Husri, Sami Shawkat, Michel Aflaq or Khairallah Tulfah. Their version of Arab nationalism is as anti-Western as it is anti-Persian. The philosophies of these men have done much to inspire generations of Arab leaders such as Gamal Abdel Nasser, who passionately advocated the changing of the Persian Gulf to “Arab Gulf”, or Saddam Hussein, who defined his Arabism by the extent of his brutality against Iranians (Kurds, Persians, etc.). Before we engage in this relatively long discussion of pan-Arabism and Arab chauvinism, let us (Iranians) remind ourselves, that we too have our faults and are not perfect. In fact, I have always found the attitudes of a number of Iranians against Arabs embarrassing and unfair. Nevertheless, I also find the hostile anti-Iranian attitudes and actions of the pan-Arabists shocking (you will read some of these in this commentary). As you read this article, please balance your feelings with how many of us Iranians are also embarrassingly chauvinist, with cultural expressions such as “uncouth Arab” or “Lizard eaters”. Undoubtedly, Iranians of all stripes are offended at the “Arab Gulf” scandal, not to mention pan-Arabist attempts at fomenting Arab racism against Iranians. A powerful distinction must be made between people who project ignorance and hatred, versus Arabs as a whole, who, in my opinion (and by personal experience), are kind, compassionate, intelligent, and resourceful. To understand the pan-Arabists, it is necessary to briefly sketch the history and origins of this movement and how this mindset remains a danger to international peace and stability. Al-Husri, along with other pan-Arab thinkers such as Michel Aflaq, helped forge the basis of the modern pan-Arabist identity of the 20th century. Unfortunately, as with other chauvinist philosophies such as Nazism, pan-Turkism, Persian chauvinism, Nordicism, pan-Arabist thinking leads inevitably to violence and confrontation, in this case against the Western and Iranian worlds. Osama Bin Laden is in fact the latest product of such pan-Arabism. The only difference between Bin Laden and previous pan-Arabists such as Gamal Abdel Nasser or Saddam Hussein is that he overtly perverts the spiritualism of the Islamic religion, to further aggrandize his vision of pan-Arabist imperialism. Pan-Arabism is simply defined as the desire to forge a single Arabian super state. The movement has its roots in the Arab revolt against Ottoman Turkish rule in World War One. British intelligence agents, personified in Thomas Edward Lawrence (1888-1935) “Lawrence of Arabia” or “Al-Lawrence” (see photo), excited the Arabs against the Turks, with promises of an Arab superstate stretching from the Persian Gulf to the Suez Canal (and beyond…). The Arab revolt was not anti-Persian, it was, for all intents and purposes, an independence movement against Ottoman Turkish rule. The pan-Arab revolt was first proclaimed in the Hijaz. Pan-Arabism found its second home in Damascus, Syria. It was in Damascus that Turkish rule dramatically ended on October, 3, 1918, when victorious Arab warriors swept into this ancient city. The Arabs were to be sorely disappointed. Having used (or tricked?) the Arabs, the British and the French simply carved up the ex-Ottoman Empire’s Arab possessions into a series of artificial states such as Syria and Lebanon (under French supervision), with Palestine, Jordan, and Iraq falling under British jurisdiction. Faisal, a hero of the Arab revolt, was defeated by the French in Syria (Battle of Maysalun), but was recompensed by the British, who installed him as king in the newly formed state of Iraq. The birth of “modern” Arab nationalism, is to be found in the aftermath of these events, namely the Franco-British creation of separate Arabian states. The Arabs felt used and cheated by the west, a sense of anger that has pervaded their consciousness for a period close to 90 years. By 1932, Iraq had been recognized as an independent state by the League of Nations; Syria, Palestine and Lebanon however, remained under French rule until the 1940s. Men such as Michel Aflaq (discussed later in this commentary), directly experienced the effects of French rule. It was in Baghdad, Iraq where the first Arab nationalists, mainly of Palestinian and Syrian descent, formed the basis of their philosophy. Prominent figures are individuals such as Haj Amin Al-Husayni (the Mufti of Jerusalem), and Syrian nationalists such as Shukri al-Quwatli and Jamil Mardam. All had been exiled because of their desire to overthrow British and French rule. Rashid Ali, a native Iraqi, is well known by the Arabs for his pro-German coup in 1941 with hopes of driving out the British. In Syria, ideologues such as Michel Aflaq (a Christian) and Salah al-Din al-Bitar laid the basis of the present day Baath movements. What is of special consequence to Iranians is the type of individuals Faisal decided to install in the new Iraqi educational and political systems. Satia Al-Husri was bought to Iraq in 1921. He first served as advisor to the Ministry of Education; he then became Director General of Education and eventually became the Dean of the Law College. Husri quickly ushered in scores of fellow Palestinian and Syrian educators and these people helped shape the Iraqi education system. These individuals formed the nucleus and genesis of true pan-Arabism, and unfortunately, ushered in the basis of anti-Iranian thinking in mainstream Arab education and mass media. Husri: First, I want to know your nationality. Jawahiri: I am an Iranian. Husri: In that case we cannot appoint you. Husri was overruled by the Iraqi ministry and Jawahiri was appointed. Jawahiri was in fact an Arab, however like many Arabs of his day and the present, Jawahiri saw no reason to follow Husri’s bigoted anti-Iranian racialism. It is interesting that Husri, though claimed as a Syrian-Arab, was actually raised as a Turk in a Turkish household; he struggled to learn spoken and written Arabic. It would seem that Mr. Husri may have suffered from an identity or inferiority complex and like many such individuals in history (e.g. Adolf Hitler) found an outlet for his confused emotions by preaching hate against those of the “other” (i.e. Iranians). Husri, H. (1974). The Asyyrian affair. The International Journal of Middle East Studies, 5, 161-176, 344-360. Stafford, R.S. (1935). The Tragedy of the Assyrians. London: Allen & Unwin Ltd.
“History books that discredit the Arabs should be burned, not excepting the greatest work on the philosophy of history by Ibn Khaldun”. It may be argued that one source of the political, economic and technological stagnation so evident in the Arab world at present may stem from what has been taught (and continues to be taught) to Arabs at primary, secondary and post-secondary education. It should come as no surprise that many Arabs (including high ranking statesmen and highly educated professors) now believe that the following Iranian scholars of the Islamic era to be all Arabs: Zakaria Razi “Rhazes” (860- 923 or 932, born in Rayy, near Tehran), Abu Ali Sina “Avecenna” (980 -1037, born in Afshana, near Bukhara, ancient Samanid Capital), Abu Rayhan Biruni (973 – 1043, born in Khiva, Ancient Khwarazm now modern Afghanistan), Omar Khayyam (1044-1123, born in Nishabur, Khorasan), Mohammad Khwarazmi (d. 844, born in Khiva, Ancient Khwarazm, now in Modern Afghanistan). Not a single one of these scientists hailed from an Arab-speaking region, all were born in what is now Iran or the former realms of Persian speaking world. (a) Men such as Biruni are claimed as Arabs simply because they had the name “Al-“ attached to their last names or had Arab/Muslim names such as “Omar”. This is tantamount to saying that all great people in history with Christian names such as Chris, Michael, or John have been Jews, simply because their names are Jewish. Following this logic, we then must accept Christopher Columbus (Spain), Michaelangelo (Italy), and Johanes Kepler (Denmark) as Jews. Persia accepted Islam after the 7th century AD, just as Europeans accepted Christianity in great numbers after the 3-4th centuries AD. Simply, put, nationality and religious confession are not the same thing. One does not “become” an Arab simply because one is Muslim, just as one does not “become” Jewish simply because one is Christian. Pan-Arabists have simply stretched the definition of Muslim to conveniently include those non-Arabs whom they view favorably as Arabs. (b) All of these men (without exception) are simply argued to be the descedants of Arabs who settled in Iran after the Arab conquests. While true that Arab garrisons occupied Persia for approximately 222 years, how and when did these warriors from the tough deserts of Arabia become scholars so quickly? Persia’s history and traditions of learning rival those of Greece, India and China, and like them, predates Arab civilization for thousands of years. When the Arabs erupted from their desert homes in Arabia and overthrew the Byzantine-Roman and Sassanian Persian empires, they simply inherited the rich legacy of Rome and Persia. Simply occupying another person’s territory does not entitle one to their achievements – in that case Greek scholars such as Democritus (Abdera, Ionia 460 - 370 BC), and Pythagoras (Samos, Ionia 582 - 500 BC) are automatically Persian, simply because Achaemenid Persian garrisons ruled the Ionian Greeks (present Western Turkey) at the time. The best retort to the pan-Arabists is the aforementioned Ibn Khaldun himself, who has made clear, in no uncertain terms, of the mighty contributions that have been made by the Persians. Many Arab nations, such as Egypt, simply avoid mentioning where the Iranian scholars were born and where they ultimately died. Many Arabs would be surprised to learn that the grave of Ibn Sina (Avicenna) is located in Hamadan, Iran. To understand the awkwardness (and indeed irrationality) of pan-Arabism (or any form of racialism), one is compelled to also briefly learn about the true founders of the B’aath party; Michel Aflaq and Salah al-Din al-Bitar. Both were born in Damascus; Aflaq was a Greek Orthodox Christian and Bitar a Sunni Muslim. They both experienced the humiliating treatment of their country, Syria, at the hands of the French, especially during the 1925-1926 uprising. The two met as students in the University of Paris in 1929. It is unclear if they actually joined the Arab communist students in Paris at the time, but what is clear is that they formed their party on the basis of pan-Arabism, like the movements that had taken place in neighboring Iraq in the 1920s. Another influential and French (Sorbonne) educated Syrian, was Zaki al-Arsuzi. Al-Arsuzi was especially outspoken in his racism against the local Turks of Syria and especially venomous in his hatred against the Jews. To summarize, the followers of Arsuzi joined up with the Aflaq-Bitar team. Arsuzi himself intensely disliked Aflaq, which explains why he himself never joined in. As a non-Muslim, Aflaq’s interest (see photo at left) was not in the cultivation of a pan-Islamic identity, but in the promotion of pure pan-Arabism in the spirit of what he called “al-ruh al-Arabiyya” (the Arabian spirit). Faith and love for one’s race is the cornerstone of pan-Arabism, as it is with any kind of racial chauvinism. That same “Arab spirit” is what Aflaq relates to “the great deeds (of the Arabs) in the past, and can continue to do so in the present”. It is interesting that Aflaq also rejected those Arabs influenced or sympathetic to Western culture; exactly as Bin Laden does today. Pan-Arabists such as Bin Laden, have perverted religion to further their own truly nefarious pursuits – one can look to many current white supremacists or religious fundamentalists to see the parallels. Aflaq went further than Satia Al-Husri in that he clearly outlined the “enemy of the (Arab) nation”. This broad encompassing term has entered many Arab educational and popular circles, resulting in a whole generation of individuals believing Iranians to be the “enemy of the Arabs” (Aflaq’s article “Us and Our Enemies” is often cited as providing insight into this type of thinking). Fortunately, many Arabs have bravely and courageously rejected this thinking; nevertheless, the impulse of anti-Iranianism has taken root in Arab education and mass media (e.g. the Al-Jazeera TV network). This quote is a chilling reminder of what happened in Nazi Germany in the 1930s (e.g. Nuremburg Rally) and the ensuing Nazi ‘racial purity’ laws against the Jews. Saddam in fact expelled thousands of people of Persian origin from Iraq in the 1970s, many of whom live in Iran today. Although not generally known, up to a third of Baghdad’s population may have been Persian-speaking by the early twentieth century. Decades of sustained anti-Iranian propaganda certainly has had its effect in destroying Iraq’s vibrant Persian community. The Kurds, an Iranian people like the Persians, have certainly felt the violent brunt of pan-Arabism. The tragedies of Saddam’s gassing policies (i.e. Halabja) and the forceful expulsion of Kurds in favor of Arab settlers in Iraqi Kurdistan is so well known and documented that we need not pontificate further on this issue. “…Iraq, open for centuries to Iranian influence, not least in the period of the Persian influenced Abbassid Empire, the very culture of the Arab speakers is suffused with Iranian influence. One only has to listen to spoken Iraqi, or look at the turquoise domes of the mosques of Iraqi cities, to see how strong the Iranian influence is…while Kurds who, by language and culture, fall very much within the Iranian cultural sphere”. Negative portrayals of Iranians continue to appear today in Arab media and education: the recent caricature portrayal of Iranians by the Al-Jazeera Television network is one recent example that is truly lamentable. Arabs have complained (with justification) that they are portrayed negatively in western press, media and education, yet so many in the Arab world are unaware of the Husri-Shawkat-Aflaq legacy of racism within their own ranks. Incredible as it may seem, Pan-Arabism’s anti-Persian attitude has found unexpected allies in the western world: a handful of western academics and politicians propelled by political, economic and even romantic interests. It was Richard Farmer in his book “A History of Arabian Music to the XIIIth Century” (London: Luzac Oriental, first published in 1929, reprinted in 1967, 1994, and 1996), who began to instill doubt on the Iranian nationality of the men of sciences cited above (e.g. Razi). The outright attack on Iran and its contributions to the Arabs is exemplified by Montgomery Watt (The majesty that was Islam: the Islamic world, 661-1100, New York, Praeger, 1974) who bluntly downplays Persian contributions as outright irrelevant. Watt’s denial and/or downplaying of any Persian heritage in Arab and wider Islamic civilization would have made Shawkat himself proud indeed. The term “Arab Gulf” neatly encapsulates the history of western (mainly British) economic interests. It was Sir Charles Belgrave who first invented the term “Arab Gulf” and attempted to change the name of the Persian Gulf. Belgrave was the British advisor to the Arab leadership of Bahrain in the 1930s. Belgrave proposed his “Arabian Gulf” invention to the British Foreign and Colonial offices in London, where the project was quietly dropped. Belgrave however had succeeded in a way; he had set the stage for future Iranian and Arab friction. Owen’s success as a British secret agent is outmatched only by Ian Fleming’s James Bond 007. His genius set the stage for the full ignition of the Arabs against Iran, allowing the British to avoid direct confrontation. Significantly, Owen had provided fresh ammunition to a new generation of post Al-Husri Arab chauvinists, now coincidentally coming to the fore in the 1950s. “Englishmen…appreciated the Arabs’ virtues…have overlooked their weaknesses…when subjected to the persuasive charm of the Bedouin…”. McLoughlin, L. (2002). In a Sea of Knowledge: The British Arabists in the Twentieth Century. Reading, UK : Ithaca Press. Kaplan, R. D. (1995). The Arabists: The Romance of an American Elite. New York: The Free Press, A Division of Simon & Schuster Inc. Many well-intentioned but naïve westerners often selectively and exclusively praise the Arabs for their contributions to medicine, the sciences and mathematics. The Arabs certainly are on par with all the great peoples of history, and their scientists such as Al-Heitham, or scientific contributions in areas such as Ophthamalogy certainly cannot be dismissed. Nevertheless, the extent of their contributions are being highly exaggerated by certain Arab chauvinists and their western Arabist sympathizers with political, economic and romantic agendas. From the western viewpoint, this error can be traced to the false fallacy of defining all Muslims as Arabs, a problem that began during the Arab occupation in Spain. The terms “Arab science” or “Arab soap” gained currency among the Western Europeans of the period. Europeans then (and today) identified “Arab” and “Muslim” as synonomous. “Muslim” is no more a “race” than is “Christian”. No one speaks of “Christians” as an “ethnic group”. This false and simplistic logic in the western world has resulted in the identification of Iranians as Arabs by current western education, popular media and press. This logic can be applied to Catholic Christians, with silly results: as Filipinos are Catholic then they must be Italians! Many Westerners have fallen victim to this dangerously false line of logic as it pertains to Iranians, with tragic academic results. An example of this amateur scholarship is evidenced in the Newsweek magazine articles by Fareed Zakaria (see photo) “Why Do They Hate Us?” (October 15, 2001) and “How to save the Arab world” (Dec. 24, 2001). Zakaria inaccurately (or perhaps deliberately) portrays Iranians as Arabs by depicting Iran as a member of the Arab world (depicted on map of p.37 of October 15, 2001 Newsweek article). He also states that “Arabs…invented algebra” (October 15, 2001, p.29). To my knowledge, Newsweek has never replied to, apologized or retracted from Mr. Zakaria’s statements. It is true that Islam is the predominant religion of Iran, but that does not make it an “Arab” country. By "Arabs", Mr. Zakaria may be referring to general facets of "Islamic" culture; however this would include other non-Arab Muslims such as Che-Chens, Turks, Bosnians, Pakistanis, Filipnio Huks, or the Sinkiang Turks of Northwest China. Islam is a multi-cultural society that includes many races and distinct cultures. The use of the term "Arab" is analogous to our previous example of Filipinos being "Italian" simply because they are Roman Catholic. With this failure at distinguishing religion from ethnicity, Mr. Zakaria has set the standard of academic mediocrity. It is a mystery as to (a) why he is so favored by the American media (he is regularly invited to television as an “expert”) (b) why he has received awards for his misleading and simplistic writings on the Near East. One should not be surprised as to why over 80 percent of North Americans (and a growing number of Europeans) believe Iranians to be Arabs (see Jack Saheen’s “The TV Arab”, Bowling Green Press, 1982). The recent row over the use by National Geographic of the invented term “Arab Gulf” in parallel with the historical and legal “Persian Gulf” is simply another example of substandard (and politically motivated?) scholarship. The “Arab Gulf” gospel was picked up quickly in Egypt by Eli Cohen, a Syrian Jew in league with the B’aath party. Cohen was later executed in Syria on charges of being an Israeli spy. It was Gamal Abdel Nasser however, the enigmatic pan-Arab nationalist leader from Egypt, who truly popularized Belgrave-Owen’s “Arabian Gulf” to the Arab masses in the 1950s. 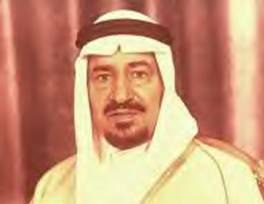 His fiery rhetoric and emotional calls for Arab unity envisaging confrontation with Iran, found a largely receptive audience, thanks to a generation of Arabs exposed to the Al-Husri-Shawkat school of education. The tiny Sheikdoms of the Persian Gulf gleefully chimed in with Nasser, bankrolling the Belgrave-Owen project with vast sums of petrodollars. The aim was to not only change the name of the Persian Gulf, but to change world history as it applied to Persia. The “Arabization” of Persian contributions on the world stage was in full swing by the 1960s and 1970s. Politics makes strange bedfellows indeed: British oil imperialism and pan-Arabism were united in their quest to diminish and ultimately marginalize Persia’s legacy and heritage in world history. This is exemplified by the BBC’s adoption of the term “The Gulf”, truly one of the pan-Arabists’ greatest successes. Other British media have followed suit, and thanks to the standard set by the BBC for its “impartiality”, other European and North American media outlets have followed suit. Pan-Arabism and Nasser’s prestige greatly suffered however, after the Israeli armed forces crushed Arab military might in 6 days in 1967. The mantle of pan-Arabism was adopted by the B’aath regime of Iraq in 1968, which saw Saddam Hussein, rise to full power by 1979. The B’aath regime struck a very close alliance with Abu Dhabi in order to provide international legitimacy to Belgrave-Owen’s “Arabian Gulf”. The Iraqi-Abu Dhabi axis proved successful. A series of fabricated academic conferences and dubious institutions (e.g. Centre for Arab Gulf Studies in Basra) were established to project pan-Arabism into western academic and political circles. With respect to the latter, the pan-Arabs have had a powerful and receptive lobby in the west. The aforementioned British Petroleum and other companies such as Aramco, Llyods Shipping and Shell simply could not resist the prospect of billions of petrodollars being pumped into their coffers. Acceptance of the Belgrave-Owen “Arab Gulf” in financial and political transactions is simply “good business”. Pridham, B.R. (1985).The Arab Gulf and the West. Published in London: Croom Helm and Centre for Arab Gulf Studies, University of Exeter. Potts, D.T. (1991). The Arabian Gulf in Antiquity: Volume I: From Prehistory to the Fall of the Achaemenid Empire. Oxford University Press. Rice, M. (1994). The archaeology of the Arabian Gulf, c. 5000-323 BC. London ; New York : Routledge, 1994. Olsen, P.R. (2002). Music in Bahrain: traditional music of the Arabian Gulf. Moesgaard: Jutland Archaeological Society : Moesgaard Museum ; Bahrain : Ministry of Information. Refer also to the Iranian Studies Group at MIT for a recent compendium of maps that indicate the Persian Gulf as the name for that body of water: (http://stuff.mit.edu/afs/athena.mit.edu/activity/i/isg/). If Fareed Zakaria has set the standard of academic mediocrity, he at least has the excuse of not being competently educated. What is hard to comprehend is that why highly educated professors such as Pridham, Potts, Rice or Olson have themselves been seduced into academic mediocrity? More seriously, are the distinguished professors aware of how much they have aided the cause of the likes of Sami Shawkat, Khairallah Tulfah or Mr. Bin Laden? The only reference to “Arab Gulf” is found with respect to the Red Sea of antiquity (e.g see Herodotus’ “Histories”, p. Penguin Books). It is interesting that neither Belgrave nor Owen made the proposal to change the name of the Red Sea to its former name, Arab Gulf. This is because neither Belgrave nor Owen were interested in scholarship; their aims were political and economic. Despite Arab attempts (and their western political and academic protégés), the United Nations has twice recognized the legality of the term “Persian Gulf” (UNAD 311/March 5, 1971 and UNLA 45.8.2 (c) on August 10, 1984). It is significant that all Arab countries (including Iraq, Egypt and Abu Dhabi) have signed both of these documents. One can only guess at what is being taught in these classrooms. These are people who will represent future Arab leaders in business, education and politics. The ultimate tragedy of Arab chauvinism is indeed expressed by the attack of Saddam Hussein against Iran in September, 22, 1980, 47 years after Sami Shawkat’s “Sina’at al-Mawt” (manufacture of death) speech. “Britain, the U.S., Kuwait and Saudi Arabia convinced Iraq to invade Iran, then covertly supplied Saddam with money, arms, intelligence, and advisers...Italy, Germany, France, South Africa, Belgium, Yugoslavia, Brazil, Chile and the USSR all aided Saddam's war effort against Iran, which was even more a victim of naked aggression than was Kuwait in 1991”. Never in modern Arab history have the Arabs shown such long-term zeal, persistence, enthusiasm and unity against a common foe. It is fortunate for the western world and Israel that the Arabs have never been as persistently unified against them as they have been against Iran. The above point must be balanced with a sobering fact. Many of the “volunteers” were uneducated and poverty-stricken in their home countries and were given financial stipends to fight the Iranians. Many others were guest workers to Iraq (i.e. Egyptian farmers) who were forcibly pressed into service for Saddam. 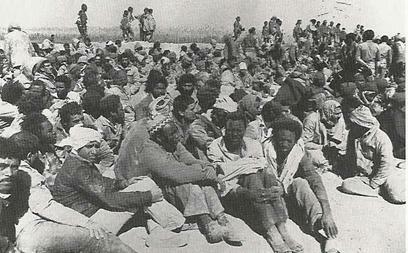 Morale and fighting qualities were generally very low, and many of these men would simply surrender to Iranian forces. Many of Iraq’s native troops (especially Shiites, Kurds and Assyrians) also deserted regularly, not having the desire to fight against a neighboring nation against which they had no animosity. Saddam’s invasion also aimed at permanently severing Iran’s Khuzistan’s province from Iran. Pan-Arabists have long claimed Iran’s southwest Khuzistan region as a “lost” Arab province, requiring “liberation” from the “racist Persians”. It is true that Iran’s multi-ethnic mosaic includes Arabs in Khuzistan as well as the Persian Gulf coast. Nevertheless, Khuzistan has been Iranian since the days of the founding of the Medes and the Persians. This is the region of ancient Elam (an Elamo-Dravidian people) and was also known as Persis by the Greeks. Arab migrations into southwest Persia can be traced to the time of Shapur II (309-379 AD). 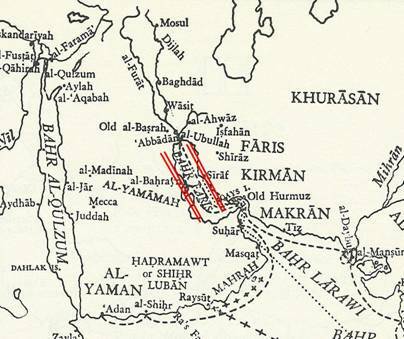 The Sassanians settled many Arabs inside Iran as a buffer against other marauding Arabs of the Arabian deserts. The Lakhmid Arabs were very loyal to the crown of Persia, and proved excellent warriors for the Sassanian army – a prime example is their role in support of Sassanian general Azarethes’ Savaran (elite cavalry) at Callinicum in 531. At Callinicum, the Lakhmid leader Al-Mundhir supported the Savaran’s left wing, an action which helped defeat the Romano-Byzantine general Belisarius - in AD. Khuzistanis can be described in a variety of ways: Arab speaking Iranians, Iranisized Arabs, Iranian-Arabs, etc. The fact remains that Khuzistan has been an integral part of Persia since antiquity. To the dismay of the pan-Arabists, the Khuzistani Arabs fought against Saddam from the start of the invasion, giving the Iranian army precious time to re-organize and counterattack. It is worth noting that only 200 of the defenders of the city of Khorramshahr were professional soldiers – the rest were locals of the city – many of them local Arabs. Together with the Iranian army personnel, they literally fought to the last man. The Khuzistan Arabs, like their Lakhmid ancestors at Callinicum, remained faithful to their nation. It was these same Khuzistani Arabs who again fought alongside the Iranian army when the city of Khorramshahr was liberated from Saddam’s occupation in 1981. Unfazed by this failure (and rejection from the Khuzistanis), the pan-Arabists continue to advocate for the separation of Khuzistan from the rest of Iran (see www.alahwaz.com). “Who supplied "Chemical Ali" (Saddam’s cousin Al-Majid – see photo) with his mustard and nerve gas? Why, the West, of course. In late 1990, I discovered four British technicians in Baghdad who told me they had been "seconded" to Iraq by Britain's ministry of defense and MI6 intelligence to make chemical and biological weapons, including anthrax, Q-fever and plague, at a secret laboratory at Salman Pak”. To this day, few speak of the atrocities committed on Iranian civilians by Saddam’s troops. Atrocities against Iraqi civilians or Kuwaitis are only mentioned due to current political expediency. Sixteen years after the Iran-Iraq war, Iranians must speak out. The most recent individual to espouse the Al-Husri version of anti-Persianism is Osama Bin laden, a man who openly despises Iran and Persian culture. Before the Taliban were ejected from power by the US following the tragedy of 9/11, Bin laden practically ruled Afghanistan as his personal caliphate where he made vigorous efforts to stamp out Persian culture (i.e. Persian language, music, the Nowruz, etc.). This attitude has been adopted by many of Bin Laden’s non-Arab followers in Pakistan where his supporters frequently shout “Death to Iran” during their regular anti-western rallies. Many in the western world misconceive Mr. Bin laden as a religious fanatic; he is in fact a racist in the tradition of Mr. Satia Al-Husri, Sami Shawkat and Khairallah Tulfah. His less than exemplary treatment of Persian speakers in Afghanistan certainly speaks for itself. Having observed the dangers of pan-Arab chauvinism, let us not forget the dangers of racist attitudes among Iranians. It is unfortunate that a growing number of Iranians, incensed by over 60 years of pan-Arabist rhetoric and blatant racism, have resorted to their own version of anti-Arab chauvinism. Bigotry is a human trait and has the potential to unfold within any human being (myself included) and must be vigorously crushed. These attitudes ignore one very important fact: many of today’s Arabs virulently oppose Arab chauvinism. These include the aforementioned Samir el-Khalil as well the late George Hourani. Samir el-Khalil has attacked pan-Arab chauvinism and reminds Arabs of the legacy of Persia in their culture as well as in Islam. Khalil was for years a hunted man by the Saddam Hussein regime. The late Arab scholar, George Hourani, not only appreciated the Iranians for their role in helping the Arabs form their civilization, but was rigorous against politically motivated attempts to re-name the Persian Gulf as the “Arab Gulf”. Many Iraqis have dismantled Saddam’s anti-Iran propaganda props from their streets and monuments after the US invasion – this was done in order to destroy Saddam’s legacy of hate against Persia. This must be applauded by the Iranians. Calm discourse and education are the best weapons – the pen is truly mightier than the sword. The Arab world and Iran have a great deal to offer each other – not to mention Turkey, a nation with strong ties to Iran, culturally and ethnically. No matter how hard the disciples of Satia al-Husri, Sami Shawkat, Sir Charles Belgrave or Roderick Owen may try, a calm examination of historical archives (and common sense) will confirm the legitimacy of Persia’s past (like that of Greece, Rome, India, Europe, the Arabs, the Turks and China) and the importance of appreciating her.